Opened in late 2007, the Copacabana Palace Spa has fast established a reputation as one of the best Spas in Copacabana, Rio de Janeiro in Brazil. Copacabana Palace Spa is a sophisticated urban sanctuary with a contemporary design and features seven treatment rooms, two dual treatment suites, a fitness room, Hair salon, sauna, steam bath and relaxation area. 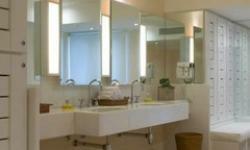 There is an extensive treatment menu featuring treatments from Shiseido, Decleor and Natura. 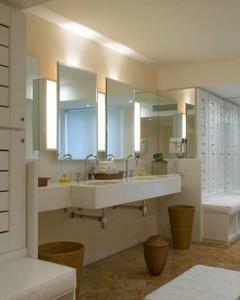 In addition Copacabana Palace Signature Treatments are exclusively available. The Copacabana Palace Spa in Copacabana, Rio de Janeiro, also offers Spa Cuisine with an menu developed by Francesco Carli, the internationally renowned Chef of the Hotel Cipriani Restaurant. The Care Palace Salon is our exclusive Hair Salon located in the Copacabana Palace Spa. Split over two floors the Salon offers a range of Hair dressing services including Hair cuts, colouring and highlighting, styling and straightening.